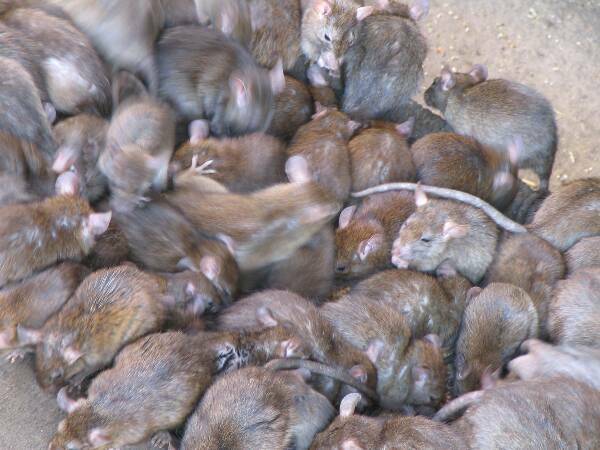 I Need A Rat Exterminator. I looked at myself in the mirror and wondered how it was possible, how I preacher of fear not, could be terrified of something so much smaller than me. I told myself to get it together, what would the children think if they saw me afraid of a rat. I had always taught them not to be afraid of anything and here I was hyperventilating into a bag and gasping for breath behind the closed bathroom door. 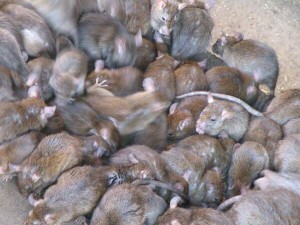 Kilter’s Rodent Exclusion System “Ro-Dex” is the best in the industry, You won’t have rats ever again!! I was more afraid than I had been at the sight of the disease carrying rodent, because now I had no idea where it had scurried off to. 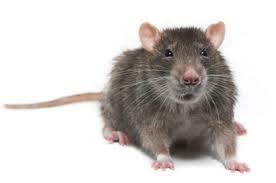 Before spotting him in the cabinet under my sink, I had never seen any evidence to suggest that we had a rat problem. It was a hard pill to swallow, My husband paid over $400,000 for this house, so this rat was living good for the time being. It was time for him or her to go. I never smoke around my children, so I lit up a cigarette while closed in the bathroom. Taking a deep inhale and asking my body to stop shaking, I began to brainstorm on how I would get this blasted rat out of my home before nightfall. I had work in the morning and there was no way I could possibly sleep with this rodent sharing my domicile. It wasn’t happening. The first thing I thought was to get a large mousetrap and bait it with some cheese. Then I thought of getting some sticky glue traps, and of course grabbing the yellow pages and dialing up a pest control service orange county. So I called the nanny aside and told her she needed to take the kids to the park for a few hours, to get them out of the house. Then I grabbed my coach bag, looking inside to make sure that no uninvited passengers were aboard and drove downtown to get some traps of both types. I guess the guy working the register at the Sam’s Hardware Store thought I was launching a war on a city of rats by all the stuff I bought. He kept mumbling to himself before he announced my total of $160.00. I had bought smaller traps and those big enough to catch the dinosaur rats of the gutters and sewers. I had enough glue traps, I could shingle our roof with them. As I made one lost stop to get the cheese for the traps, I thought of all the places I would plant my land mines and hope the target took the bait. Arriving back home I set about baiting the traps, the best I could. I had only the basement remaining and then I was fixing to leave to meet my children at the park. I was crouched down by the washer and dryer putting the last of an intricate maze of glue traps down. All of a sudden I saw these beady eyes looking at me, I flinched and the rat headed straight for me. Falling over, I picked up several glue traps that were attached to my arms, hair and legs. I bolted up and ran forgetting the stairs were also lined with traps and catching my left foot in one of those. Thankfully I had shoes on, It still hurt like heck but probably saved my toe. I drove all the way to the park like this, catching some sideways looks while doing so. Once there my Nanny called the Kilter Termite and Pest control service, long after they caught the rat, I was still trying to detach myself from the glue traps.